Seibertron.com Energon Pub Forums • How to make your Voyager AOE Grimlock (more) awesome in 2 easy steps! How to make your Voyager AOE Grimlock (more) awesome in 2 easy steps! First I dremeled his hands Starting at the thumb and cutting forward. Alt mode weapon storage is even easier. First take the head of the mace and attach it to the tail as normal. Now for the shaft, if you look on the underside of old Grim in alt mode there are some indents just below the knees. The ridges near the bottom of the mace perfectly fit in there. Cover the other end of the shaft with the chest parts, and you are done! The shaft of the mace does stick out the front a bit, but from most angles you can't see it, and it help fill in his chest a bit. I also disabled the chomp gimmick, as I like the option to close his mouth. 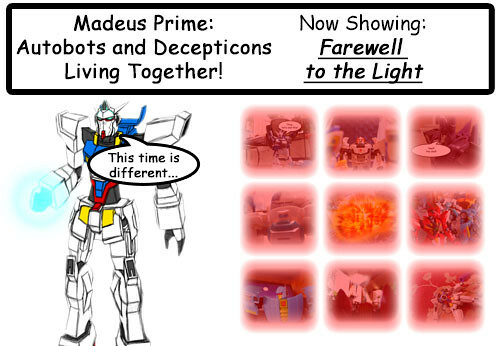 There you go, I hope this adds some enjoyment to your Grimlock. As I said earlier I love this toy, and now that I fixed the only real problem I had with it, I love it even more! Re: How to make your Voyager AOE Grimlock (more) awesome in 2 easy steps! Combo this with my minor adjustment and he's just about perfect!